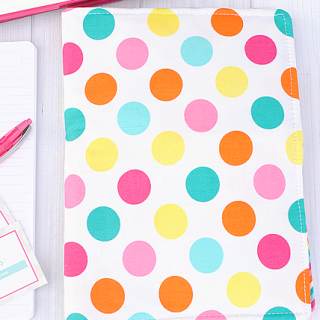 Feeling ready for summer and all that goes with it? 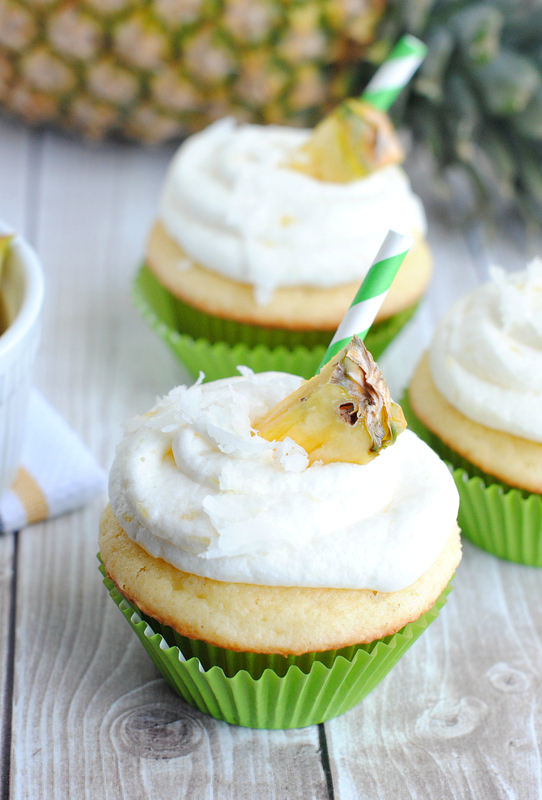 These Piña Colada cupcakes are a summery treat that could be perfect for a party or a backyard BBQ. They are actually very easy to make-from a cake mix-and they are a perfect, fun summery dessert. It’s a twist of coconut and pineapple together in cupcake form. It’s a coconut cupcake (with a tiny bit of pineapple in there too) with a pineapple buttercream frosting. Then sprinkle it with coconut and top with a slice of pineapple and you’ve got not only a dessert that tastes great, but it looks amazing too! Combine cake mix, pudding mix, sour cream, vegetable oil, eggs and coconut extract in mixing bowl and beat until smooth. Open your can of pineapple and squeeze out half a cup of juice. Add this to your mixture and beat in. Spoon into 24 lined muffin tins and bake for 18 minutes (give or take 2 minutes). They should be just barely turning brown when you take them out. Mix your butter, powdered sugar and milk with electric mixer until smooth. Add 1/2 C crushed pineapple to the mixture and beat in. Add milk or powdered sugar as needed to get desired consistency. You’ll want it thick but not so thick that you can’t pipe it. Spoon frosting into ziploc bag and snip off one corner. My mom thinks these look delish. 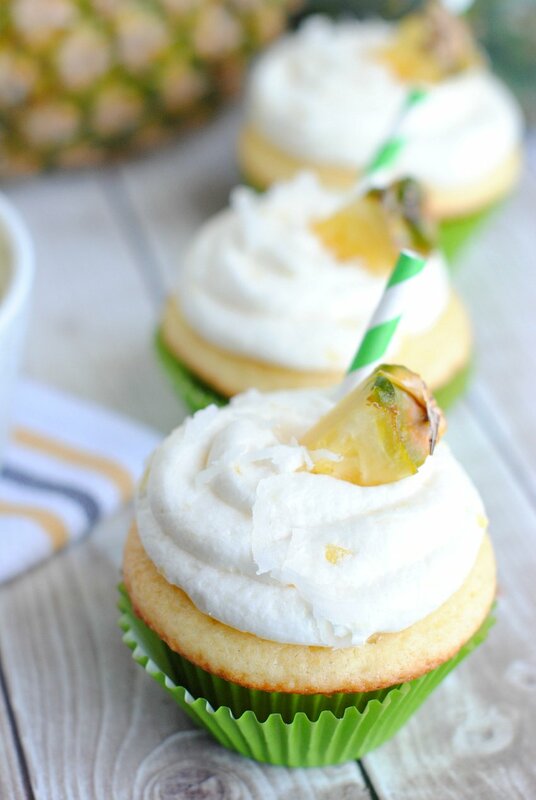 I have a question on the recipe for the Pina Colada Cupcakes. Under the cake instructions, it says to squeeze out 1/2 a cup of pineapple juice and add it to the batter. Under the Frosting instructions, it says to add 1/2 cup of the crushed pineapple to the frosting mix. Could you clarify, this should just 1/2 cup of the pineapple juice be added to the cake batter? Or should all of the juice be drained & then all but 1/2 cup of the crushed pineapple be added to the cake batter then the remaining 1/2 cup of the crushed pineapple be added to the frosting? Just juice in the batter-1/2 C. Then 1/2 C in the frosting also but JUST of the crushed stuff, not juice.